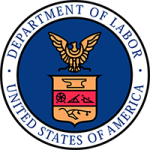 The US Department of Labor (DOL) announced in late February that the Office of Federal Contract Compliance Programs (OFCCP) is rescinding two enforcement guidance on pay discrimination. These guidelines, originally issued in 2006, are commonly known as the “Compliance Standards” and “Voluntary Guidelines.” By rescinding these guidelines, the OFCCP intends to protect workers and strengthen their ability to identify, investigate and remedy different forms of pay discrimination. The OFCCP will now be able to conduct investigations of contractor pay practices consistent with Title VII of the Civil Rights Act of 1964. What does this mean for employers? This change affects Federal Contractors who are required by law to file an Affirmative Action Plan each year. Because the OFCCP is likely to look for opportunities to review contractor pay, affected companies should ensure that all of their compensation and pay practices are compliant with the law and do not discriminate against protected classes. If you are a Federal Contractor and have not reviewed your pay levels to ensure that they are fair, equitable, and competitive, please contact MEA.